So this past weekend, Jerm ventured out for the Annual ZooFari festival put on by our friends over at Tampa&apos;s Lowry Park Zoo. I think the title of this post will pretty much sum up my feelings about the event. 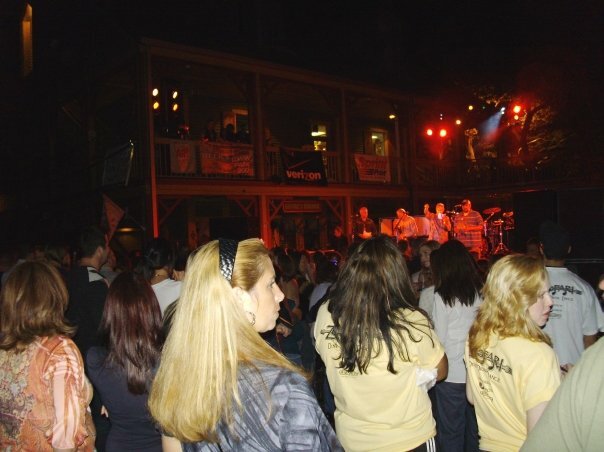 As I said in my pre-blog, this was one of the hottest Tampa Bay area events in town! Everywhere you look there were pretty girls, cute animals, and of course some pretty amazing foods! I began stuffing my face as soon as I got into the Zoo. Well actually I had a glass of Champagne first, then I began to stuff my face with whatever was put in front of me! I would like to personally thank Tampa&apos;s Lowry Park Zoo for setting my diet back a week or two...lol. I knew there would be a lot of local vendors, but once you get there and see them all, its very surreal. I saw all my favorites like Sally O&apos;Neill&apos;s, Pei Wei, Papa Johns, Gallaghers, Ruth&apos;s Chris, Mitchell&apos;s Fish Market, Grillsmith, BJ&apos;s Brewhouse, and so many more. And yes I am a fatty because I more than sampled food from each of those places! 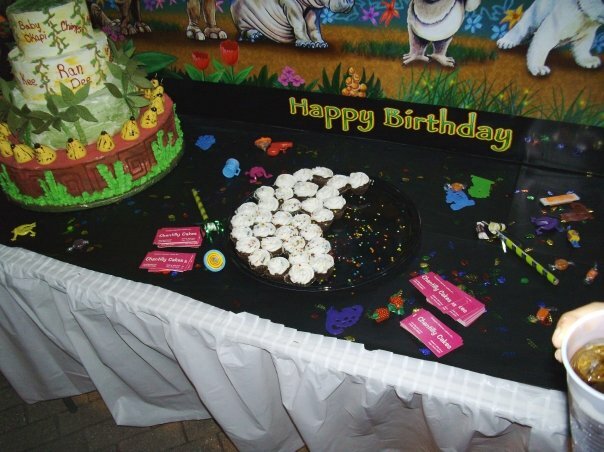 But for me personally the highlight of the night was the dessert tray from Chantilly Cakes. If you see the picture here to the left with all of the desserts on it, then you will understand why. Cupcakes, cakes, and a few more sweet items that I had never seen before, but they tasted awesome. Call Chantilly Cakes and have them cater! Invite me to the event! I also had a really good Malt, somewhere near Wallaroo station, but can&apos;t for the life of me remember the name of that vendor. As far as Tampa Bay entertainment goes, Sister Hazel was the highlight of the evening as everyone crowded at the front of the Zoo to see them go on. Here is a little video for you if you were not able to make it. My favorite group of the evening was the VodkaKnaughts, as they had me cracking up with their selection as well as the lead singers commentary. Worth the price of admission these guys are. Here is some video of that as well. You can always count on Lowry Park Zoo to put on a first class event, and this was no different. Looking forward to the next event with abated breath though, and who knows, as I may even have some passes to give away next go round!